Das has banked more on portraying the real Manto and extracting performances from a cast perhaps not as glamorous as Khoosat’s. 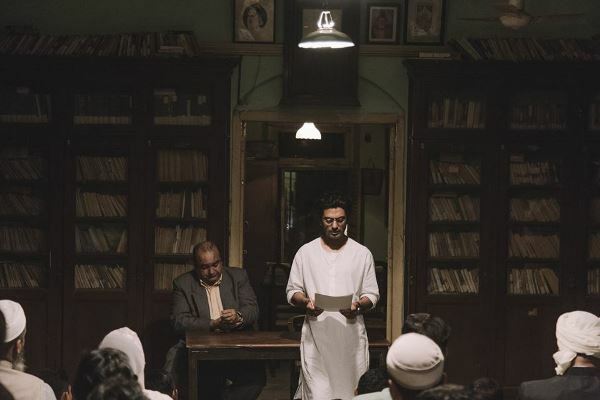 Viewing the trailer of Nandita Das’s Manto was a great pleasure, especially since prior to seeing Sarmad Khoosat’s biopic of Saadat Hasan Manto released in 2015, I had not seen its trailer. Comparisons of Das’s version with Khoosat’s trailer will seem inevitable, even much-needed, given what the respective directors and main actors are trying to prove in a short span of less than three minutes, if the trailers are to be believed. 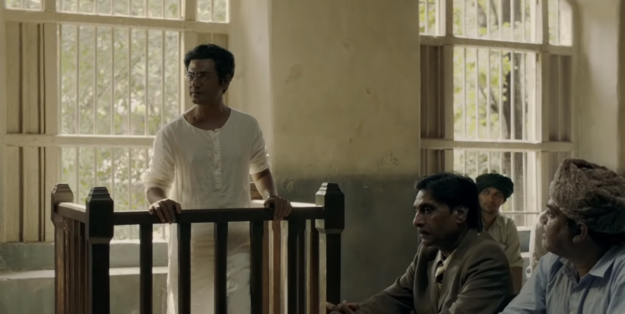 Das’s Manto, played by Nawazuddin Siddiqui, comes across as an iconoclast and a rebel right from the opening scene of the trailer, where Manto is shown to be in the dock facing an obscenity trial. The trailer shows him both in the Bombay of 1947 and the Lahore of 1948. We get to know that the major characters in Manto’s stories were women, particularly prostitutes. There’s a bit about his family life, a few scenes with his wife Safia, and an especially moving scene where Manto’s yet-unborn son Hamid (who passed away in infancy) is addressed by the writer, who hopes his child will be born in independent India. We are also shown scenes of the independence of India and a scene from the writer’s famous Partition story, Toba Tek Singh. The overall impression of the trailer gives a very positive image of Manto, who despite his problems remains a rebel, iconoclast and a champion of freedom of expression. 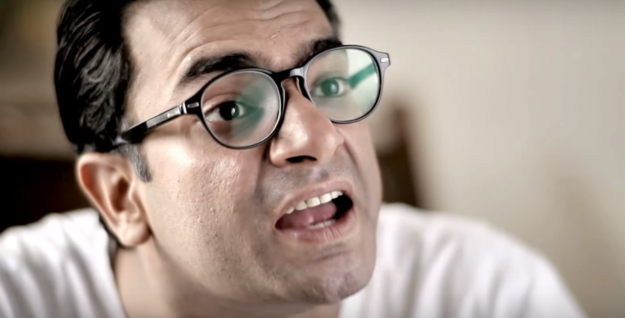 This expression is established at the outset, with the aforementioned opening scene showing Manto in the courtroom, and is reinforced at the end by a rendition of Faiz Ahmad Faiz’s famous poem, Bol. 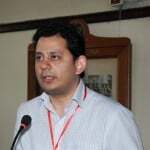 Anyone familiar with Das’s work and artistic vision can see how, in Modi’s India – where strict curbs on freedom of expression have been instituted, exemplified by attacks against and assassinations of prominent intellectuals, journalists and students – such a message would best be exemplified through the person of Manto. Interestingly, there is little depiction of Manto’s alcoholism, which eventually claimed his life, or his time spent in a mental asylum. On the other hand, having seen Khoosat’s film twice, and reviewed it as well, the trailer of his film unfortunately paints Manto as a victim. It is certainly intense, but the overall effect leaves a negative perception of Manto in the viewer’s mind. 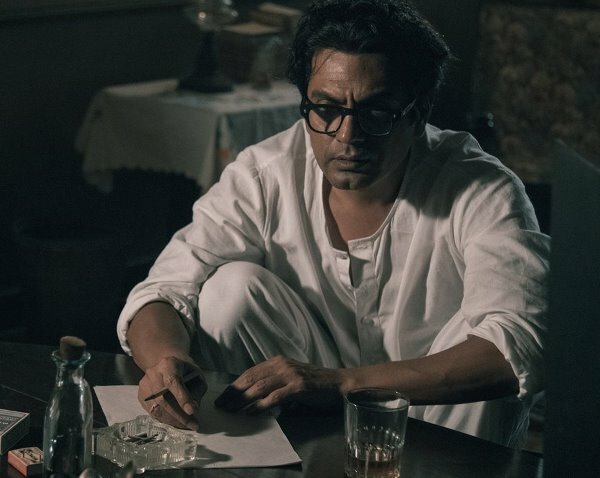 Manto is shown to be addicted to alcohol, with the opening scene itself showing the bottle, and then repeatedly shows his greater demand for it at the cost of his family life, his squabbles with Safia, as well as his treatment in the mental asylum, all reinforcing an image of Manto as a victim. Khoosat’s trailer has more of an emphasis on glamour, with some of Pakistan’s most bankable stars cast in the film, and the trailer makes it a point to give more screen time to Khoosat, Saba Qamar (playing the legendary singer Noor Jehan) and Nimra Bucha. The most interesting thing in Khoosat’s version was Manto’s humzaad (alter ego), played by Bucha, while both directors make use of Manto’s notorious short story Thanda Gosht. The haunting soundtrack from Khoosat’s film Mehram Dilan de Mahi is missing from Khoosat’s trailer, while Das incorporates a musical rendition from Faiz strategically in the film, towards the end. One way in which Khoosat’s trailer redeems itself is how it showcases Manto’s family life, showing him with his daughters in a way Das’s trailer does not. However, unlike Das’s trailer, in Khoosat’s film we learn more about the various glamorous Pakistani actors than we do about the poor writer himself. Also, Khoosat shows Manto wearing rubber shoes and riding a cycle – which he never did in his real life – so perhaps a little more research was needed on Team Khoosat’s part. Team Das was based in India, thus did not have access to the same proximity of resources, yet the trailer correctly shows Manto riding a tonga, and wearing the fashion of his time. 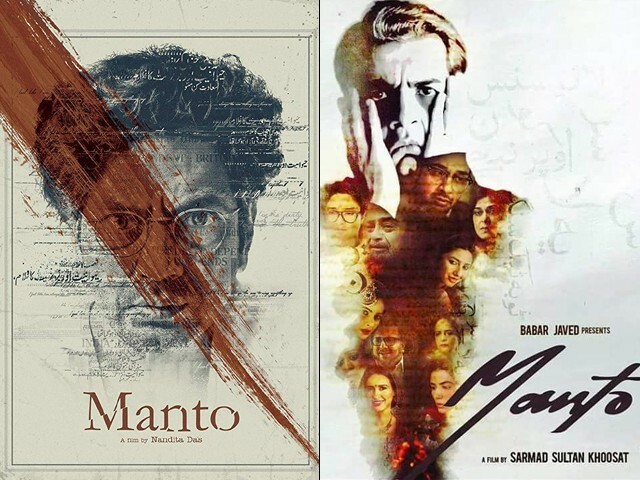 I would say Siddiqui has played Manto with greater empathy and aplomb, while the way Khoosat played Manto was melodramatic, hysterical, and not very impressive in the final analysis. Khoosat’s film was the by-product of a 25-episode serial later broadcast on television, and thoroughly glamourised the film, showcasing its various stars. Das’s film, on the other hand, has no such baggage. It appears she has banked more on portraying the real Manto and extracting performances from a cast perhaps not as glamorous as Khoosat’s, but has definitely put in more effort in producing a convincing performance of Manto’s life and times. Although Das’s direction remains to be seen when the film is released in late September, having the benefit of hindsight from watching Khoosat’s film, I hope that both Siddiqui and Das will do justice to Manto in a way Khoosat was unable to. If only a film could be judged by its trailer!